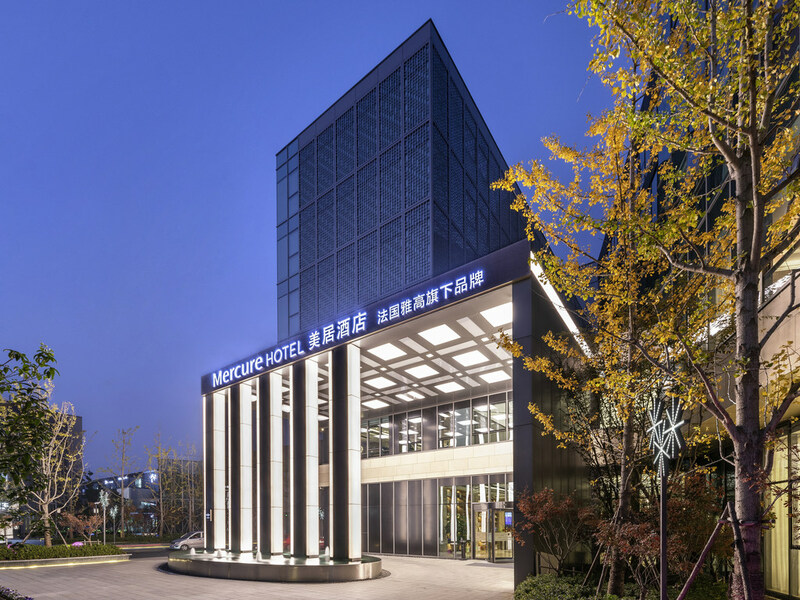 Mercure Kunshan Hi Tech Zone is located in Kunshan city, East of Shanghai and West of Suzhou. The hotel is surrounded by many highways and high speed railways. It is 15 min by car from Yangcheng Lake Scenic Resort, 10 min from Kunshan South Railway Statio n, from which guests can take trains to Shanghai. The hotel offers 162 elegant rooms, a French style lobby bar, All Day Dinning restaurant, gym, 24h laundry room and multi functional meeting rooms. An ideal choice for business and leisure travellers. The metro station in the Citizen Centre is 400m from the hotel. Hangzhou Railway station is 20min by car, with Hangzhou East Railway Station and Hangzhou Xiaoshan Airport 35min away. The hotel has 162 comfortable and elegant rooms. Mercure Kunshan Hi Tech Zone features a romantic French décor and complete facilities. Each room is equipped with a 50inch LCD TV, mini bar, safe box and other facilities. The hotel is 58km from Shanghai. The journey takes 1 hour. The hotel is only 20 minutes away from the Yangchenghu Lake Tourist Resort. The hotel is near Kunshan City Ecological Forest Park and close to the largest cultural and artistic centre in Kunshan City. Located on level 2, the restaurant offers delicious local delicacies. It serves guests breakfast, with à la carte options during lunch and dinner. The Lobby Lounge is located on level 1 and is open from 10am to 10pm. It serves imported French wine handpicked by our sommelier exclusively to our Members. It offers a wide variety of drinks and light snacks. Located on level 1, the Lobby Bar serves the Mercure House Wine, an imported French wine handpicked by our sommelier, exclusively to our members.